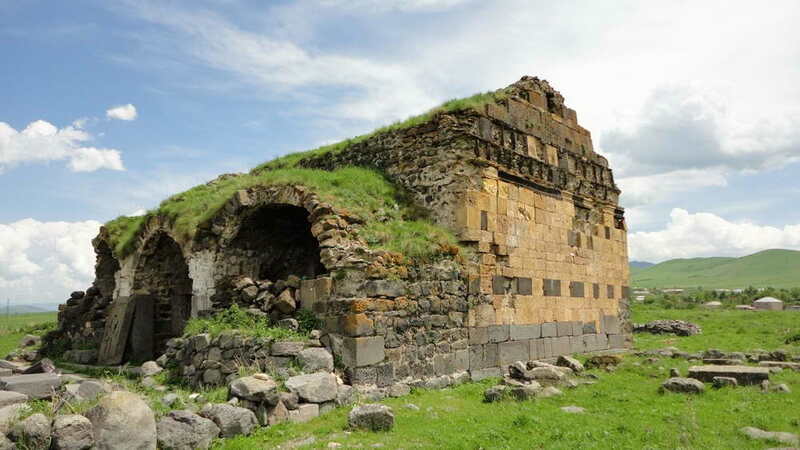 Lori Fortress is one of the monuments of the Armenian Plateau well known for its historical-archeological value. It is situated near the city of Stepanavan. The necropolis and the dwelling occupy the territory of about 500 hectares. Lori Fortress survived more than one and a half thousand years, beginning from the last two centuries of the 3rd millennium B.C. up to the middle of the 1st millennium B.C. Four cultural phases followed, beginning from the Middle Bronze Age up to the Late Iron Age, or including the period of the Kingdom of Van. The mausoleums attract with their architecture, richness and abundance of the property. Lori Fortress was a big economic, cultural and city centre. It had trade ties with the countries of the Advanced Asia, Aegean countries and other areas. 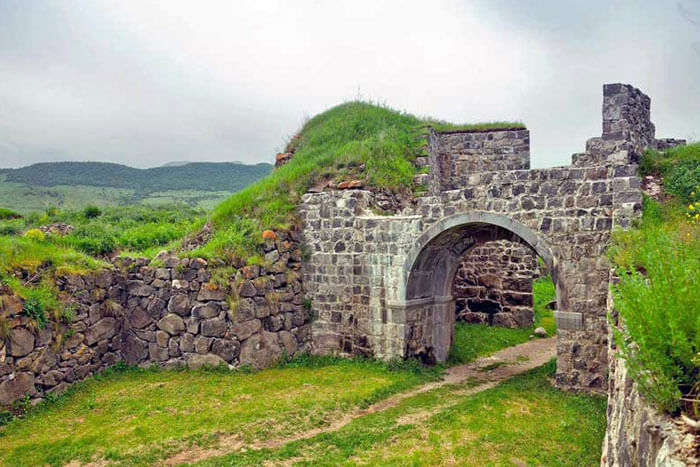 Lori Fortress had already been a dwelling of city type in the 17th-16th centuries B.C. Here in 1975 a statuary and a statue-flag of a small herd of deer were found, which probably belonged to one of the tribe leaders of Lori. The male deer is standing stately in the centre of the sculpture, and at his sides standing the females feeding the young deer. The two leopards or wolves are prosecuting the male deer. The parts of the body of the deer are hollow with long and triangular embrasures, having bronze ball-tongues. The statuary is standing on a flat pedestal, and it is fixed on the anchored bar through the knee-like section and it can be turned around its axis. The sculpture together with the bar has a height of 33 centimeters. The statue-flag with thematic and stylistic peculiarities is fully characteristic to the Armenian Late Bronze Age, and it was made by a local master artist. The deer symbolizes the celestial element, the thunder and the lightning. Besides, the deer bears the idea of good forces, maternity and preservation of generation. The early Indo-Europeans worshipped the deer. The Hittite connected it to the god of sun. Undoubtedly, the statue-flag is of cult character. It has been used during marches and ceremonies. Being fixed at the end of a long wooden bar it turned round ringing the small deer bell. It dates back to the 16th – 15th centuries B.C. In 1977 a bronze ladle was discovered at the Mausoleum N 21 of Lori Fortress, which dates back to the 14th-15th centuries. It looks like a hemispherical bowl, and it has a short handle ending with a soldier’s statuette. The soldier with athletic figure is naked. There are triangular openings on his breast and back, his hands are clenched into fists and extended forward from his arms having the form of holding a pear or a weapon He is wearing a high-top helmet. The soldier’s male features are expressed below his narrow waist, and big bent crosses that connect him with the sun are engraved on his comparatively wide thighs. 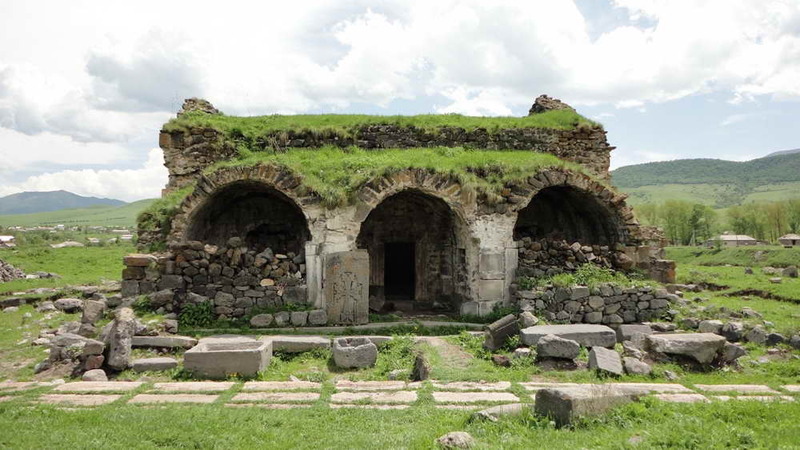 The mausoleums at Lori Fortress that belonged to high-ranking people of the 8th – 6th centuries B.C. are remarkable, since exclusively valuable objects have been found from the Kingdom of Van, Persian, Scythia and Mediterranean countries. The mausoleums are also rich in jewellery items, which attract not only with its artistic value, but also with technical complicated tricks in their preparation. Among these are temple ornaments, which are triangular golden tins that are hung from wide silver or golden rings. These ornaments together with the images on them were of magic importance. The form of the temple orna ment, a triangle with one end pointing upwards, is the symbol of male beginning, phallus and fire. These unique samples of the jewellery of Old Armenia were only discovered at Lori Fortress. In 1990 a silver cup was found in the “Royal” Mausoleum of Lori Fortress. The mausoleum attracted with its big sizes, three cells with stone walls, killed animals and an abundance of mausoleum property. Such mausoleums are unknown neither in Armenia, nor in the whole Advanced Asia. The cup (9.7 cm high) is oviform, chilled with a one-piece silver tin. It has chilled belts of one-row, two-row and three-row semi-balls on the trunk. The main illustrated frieze is at the centre, where a hunting scene most probably made by chilling and engraving, is presented. The frieze is divided into three parts by three palms. In the first part a war-chariot is illustrated with a horse galloping at full speed, a coachman and a person (king) are standing on the body. The latter is portrayed dressed in frieze clothes with a belt fastened, a shield in one hand, and a spear in another hand. In the second part there are galloping riders, in the third part one rider. The theme is old oriental: royal beloved occupation – hunting in the palm groves. One can assume that a lion is also under the palm, which the king had to attack with deathly blow. This ritual hunting should ensure the king’s victory in the coming war. It is typical that in the same Mausoleum the chins of the lions from the Advanced Asia were discovered along with the skeletons of horses, cows and other animals. Considering people’s national costume, the form of the cup and the semi ballshaped incrusts, one can suppose that the silver cup was made in the Assyrian-Urartian environment. The cup with the Mausoleum dates back to the 7th – 6th centuries B.C.